Today’s parenting post is by Grace. Grace is a wife, homeschooling mom, doula, pastor’s kid, and writer. She currently resides in southern Oregon with her husband and three gorgeous children, where they enjoy walks in the woods, wading in the river, reading good books, and attending a diverse and compassionate church. 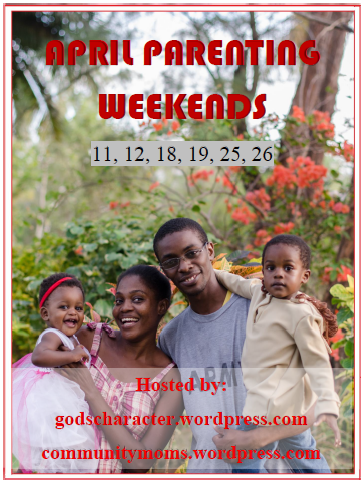 You can find Grace over at My Divine Blessings where she blogs about special needs, family, pregnancy, christianity and many other things. After three children, it’s become quite apparent to me that every child has their own unique personality. One would think that this fact would be obvious, but for some reason our society’s books on parenting seem to think that all children will respond to one particular method or technique. 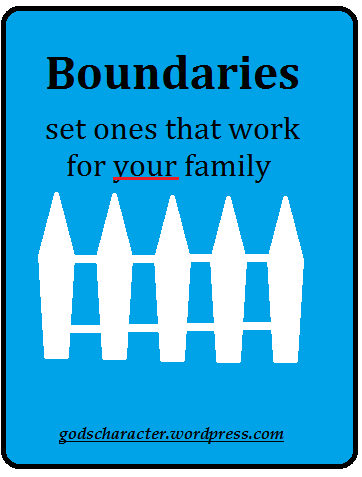 Within these various methods, whether they work for most kids, or only work temporarily for some kids, or don’t work for any kids in the long run and ought to be done away with altogether, there is some commonality, which is that they are all ways of setting boundaries: “You may do X, but not Y”; “This behavior is not acceptable, but that one is”; “Such actions are not acceptable, but these other actions are to be praised”. Boundaries are what teach our children how to behave in modern society without any resemblance to the “society” in Lord of the Flies. Teaching manners, kindness, and compassion are all vitally important for us to live together in this world. Yet how to teach those things is a mystery to many parents, especially with so many different “experts” claiming their method as THE method to use.